ASTANA – Kazakh President Nursultan Nazarbayev participated in Building a Nuclear-Free-World, an international conference held Aug. 29 in the capital’s Palace of Independence, where he highlighted Kazakhstan’s achievements and efforts in nuclear disarmament, urged other countries to follow and announced the Astana Peace Summit, which will take place in November. “For a quarter century, based on the example of Kazakhstan we have formed an effective model for the way to a world free of nuclear weapons. We propose this model be used by all countries of the world,” said Nazarbayev during his opening speech as he addressed more than 1,000 participants of the event. The model is based on the following provisions. The Kazakh people made the decision to close the Semipalatinsk nuclear test site and the country has managed to become independent and achieve economic growth without a test site or a nuclear weapons programme. In 2006, the Central Asian Nuclear-Weapon-Free Zone was created with the participation of Kazakhstan, Kyrgyzstan, Tajikistan, Turkmenistan and Uzbekistan. Kazakhstan is also a member of all fundamental international nuclear security treaties. The President also hightlighted the Nunn-Lugar Cooperative Threat Reduction Programme, which played a major role in the country’s nuclear disarmament path. “Even though our country has abandoned the nuclear status, it retained the ability to develop peaceful nuclear energy… The National Nuclear Centre and Kazatomprom, the national atomic company, were created. We have become the host country of the international bank of low-enriched uranium. This underlines the high level of security of Kazakhstan and our high international prestige. In today’s world, Kazakhstan holds the leading position in the global anti-nuclear movement. 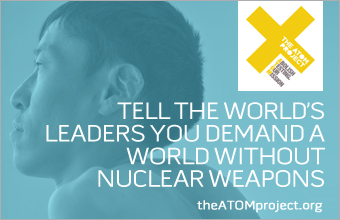 On our initiative The ATOM Project is being implemented, which unites all the people in the struggle for a universal ban on nuclear weapons,” he said, adding all are foundations of Kazakhstan’s experience in building a nuclear-free presence. The event, held in conjunction with the 25th anniversary of closing down the Semipalatinsk test site, gathered representatives from more than 50 countries, including renowned policy makers, religious leaders, government officials, disarmament experts, civil society campaigners and heads of international and regional organisations. The Astana Vision declaration was adopted at the end of the day. 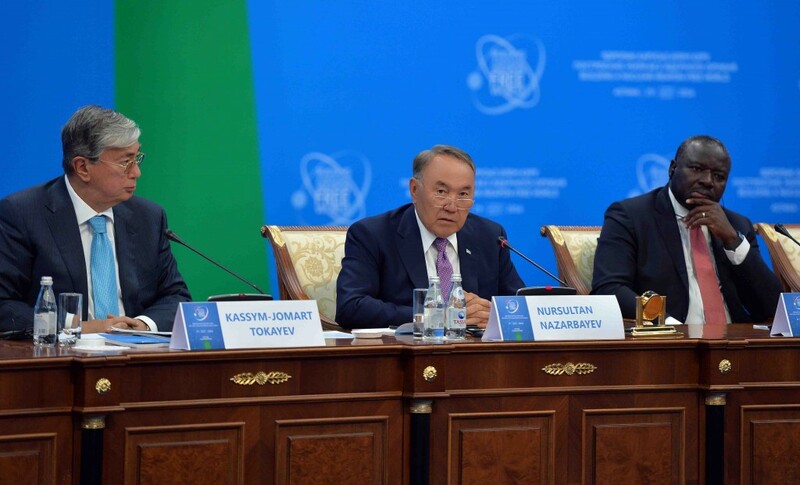 Nazarbayev noted the conference and its participants serve as proof of the world’s recognition of Kazakhstan in the anti-nuclear-weapons movement. “A quarter of a century ago the most sinister experiment of militarism, which had tormented our land and our people for almost 40 years, was legally terminated. After our decision, test sites of all leading nuclear powers became silent, but they are still not closed. Kazakhstan was the first to take such a step. That was the will of our people. Herein lies the great importance of this step for the entire planet,” he added. The decision to close the Semipalatinsk test site was made while Kazakhstan still was part of the Soviet Union. At that time the nation possessed the fourth largest nuclear-missile potential in the world, exceeding the nuclear forces of Great Britain, China and France combined. Nazarbayev noted strong political will was required to make such a decision. “Rejection of nuclear weapons and nuclear status was our conscious, sincere choice; a voluntary act supported by all the people of Kazakhstan,” he said. The path to release the planet from the threat of nuclear suicide is not easy, he added. It requires profound mental changes, new multilateral political decisions and a high level of trust in international relations. Nazarbayev has put forward a number of proposals aimed at reducing the threat of nuclear self-destruction and gradual demilitarisation of the world. “The process of reducing nuclear arsenals should be multilateral, with the participation of all states, which de facto have such kinds of military power. This should be preceded by full legalisation of the nuclear status of nuclear-related states, which is now referred to as the ‘threshold’ group. All nuclear powers need to start negotiations on the elaboration of the general agreement on nuclear arms reduction,” he added. The President urged the international community to create new mechanisms to regulate relations among the major powers and new international organisations to prevent conflicts. “It is also important to strengthen the control over the spread of conventional arms and new military technologies. I urge all governments to commit to further strengthening international treaties and institutions that form the basis of nuclear safety. I also appeal to all parliamentarians who today represent their countries and peoples to take an active part in it. Kazakhstan’s activities as a member of the UN Security Council will be devoted to these and other measures to strengthen international peace and security,” he said. A proposal to establish a special award, the prize of the President of Kazakhstan for contribution to nuclear disarmament and global security, was made during the plenary session. “In general, I support this initiative. It would probably be more correct to call it a prize for nuclear disarmament; we must also consider the name. We must consider and make a decision on the establishment of a prize,” said Nazarbayev. The Astana Peace Summit will bring together well-known political and public figures, scientists and business people from many countries. “It is the summit where we could talk about the establishment of such a prize and the presentation of its first winner,” he added. 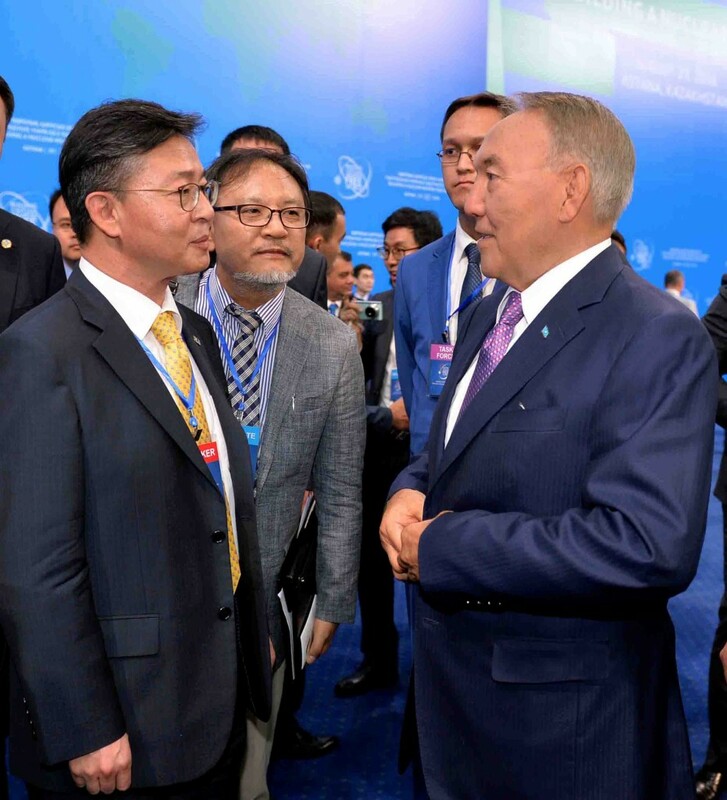 After the conference Nazarbayev met with representatives of the foreign media and answered questions related to Kazakh efforts and initiatives, as well as its experience in the field of nuclear non-proliferation and disarmament. He also talked about the continued relevance of the Semipalatinsk test site closure and future prospects in the building of a nuclear weapons-free world.